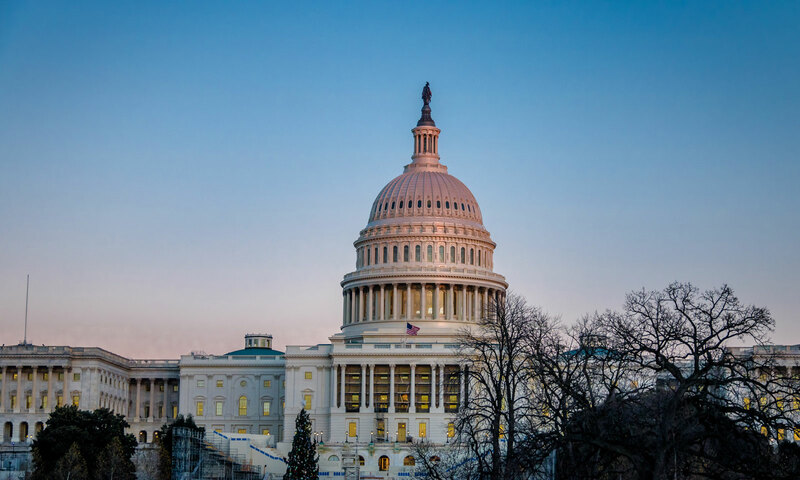 Following passage of the FY 2019 omnibus legislation in February, members of Congress have already initiated the FY 2020 appropriations cycle and are circulating letters of support – known as “Dear Colleagues” – for key federal programs important to counties. Members’ circulation of these endorsement letters sets the stage for markups throughout the spring and summer of FY 2020 spending legislation in the twelve jurisdictional subcommittees of the U.S. House Appropriations Committee. As Congress prepares for the upcoming appropriations cycle, NACo is engaging with key members to ensure county economic development priorities are included in FY 2020 spending bills. Reps. Mike Kelly (R-Pa.), James P. McGovern (D-Mass. ), Gregory Meeks (D-N.Y.), Michael Turner (R-Ohio) and Maxine Waters (D-Calif.) are leading a bipartisan “Dear Colleague” letter urging U.S. House Transportation, Housing and Urban Development Appropriations Subcommittee leadership to support $3.8 billion for the Community Development Block Grant (CDBG) in Fiscal Year (FY) 2020. NACo worked with congressional staff on this bipartisan letter. Urge your Members of Congress to co-sponsor the House letter supporting CDBG. The deadline for signatures on the House letter is Friday, March 29. Members of Congress interested in signing on should contact Harsh Deshmukh in Rep. James McGovern’s office at 202.225.6101. Why Does CDBG Matter to Counties? The CDBG program was enacted in 1974 to provide block grant funding for community development programs. The program assists urban, suburban and rural communities to improve housing and living conditions, and to expand economic opportunities for low- and moderate-income persons. CDBG helps to create jobs through the expansion and retention of businesses. It is an important tool to help local governments tackle serious challenges facing their communities. Currently, CDBG is funded at $3.3 billion for FY 2019. The proposed FY 2020 budget form the Trump Administration recommended total elimination of the CDBG program for FY 2020. Rep. Marcia Fudge (D-Ohio) is leading a “Dear Colleague” letter urging House Transportation, Housing, and Urban Development Appropriations Subcommittee leadership to fund the HOME Investment Partnerships Program (HOME) at $1.5 billion in FY 2020. Urge your Members of Congress to co-sponsor the House letter supporting the HOME program. The deadline for signatures on the House letter is Monday, April 1. Congressional staff can sign onto this letter on behalf of their Members of Congress by using this Google form. Please contact Kate McCann in Rep. Marcia Fudge’s office at 202.225.7032 with any questions. Why Does HOME Matter to Counties? The HOME program was authorized in 1990 and assists state and local governments with providing affordable housing for low-income families, helping to improve the quality of life in local communities. HOME funds provide counties with the flexibility to design policies and programs that address local affordable housing needs. HOME funds can be used towards acquisition, reconstruction and rehabilitation of housing. Since 1990, it is estimated by HUD that HOME has helped produce over 1 million units of affordable housing. Currently, HOME is funded at $1.25 billion for FY 2019. The administration proposed eliminating the HOME program for FY 2020. Reps. James McGovern (D-Mass.) and Neal Dunn (R-Fla.) are leading a bipartisan “Dear Colleague” letter urging House Commerce, Justice and Science Appropriations Subcommittee leadership to support $304 million for the Economic Development Administration (EDA) in FY 2020. NACo worked with congressional staff on this bipartisan letter. Urge your Members of Congress to co-sponsor the House letter supporting EDA. The deadline for signatures on the House letter is Wednesday, March 27. Members of Congress wanting to sign on should contact Caitlin Hodgkins with Rep. James McGovern at 202.225.6101 or Matt Blackwell with Rep. Neal Dunn at 202.225.5235. Why Does EDA Matter to Counties? The U.S. Economic Development Administration (EDA) is the only federal agency solely focused on private sector job creation in distressed areas. EDA is important to counties because it serves as a catalyst in helping local communities achieve long-term economic growth. EDA grants are particularly critical for rural areas, where resources for economic development are scarce. Currently, EDA is funded at $304 million for FY 2019. The administration proposed eliminating the Economic Development Administration in its FY 2020 budget proposal. NACo policy supports $304 million for EDA in FY 2020.